With the main goal to spread awareness about one of the most important human body systems, the endocannabinoid system, the founders of Hempure have been on a mission for years. Knowing that CBD can interact directly with the endocannabinoid system and provide an endless list of benefits to the human body, Hempure wanted to provide CBD products to the whole nation at an affordable price. 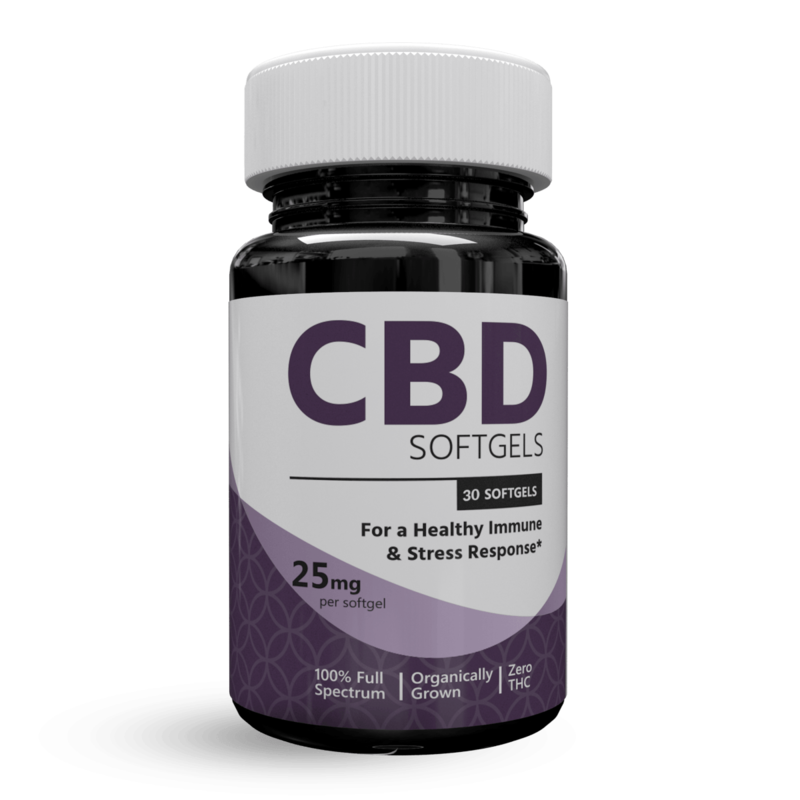 Focused on value and quality, they created a large range of CBD products that have the main mission to deliver daily health to their consumers. With the CBD sourced from local farmers in Colorado, we were eager to start a review on Hempure CBD. If you're looking for a Hempure CBD coupon code you can find them to the right. Let’s dive into our Hempure review to see what was unique about the brand, the different products we got to experience, and the pros and cons of the company. What's Unique About Hempure CBD? The CBD tincture oils came in a range of strengths, though I picked the strongest for the purposes of this review. 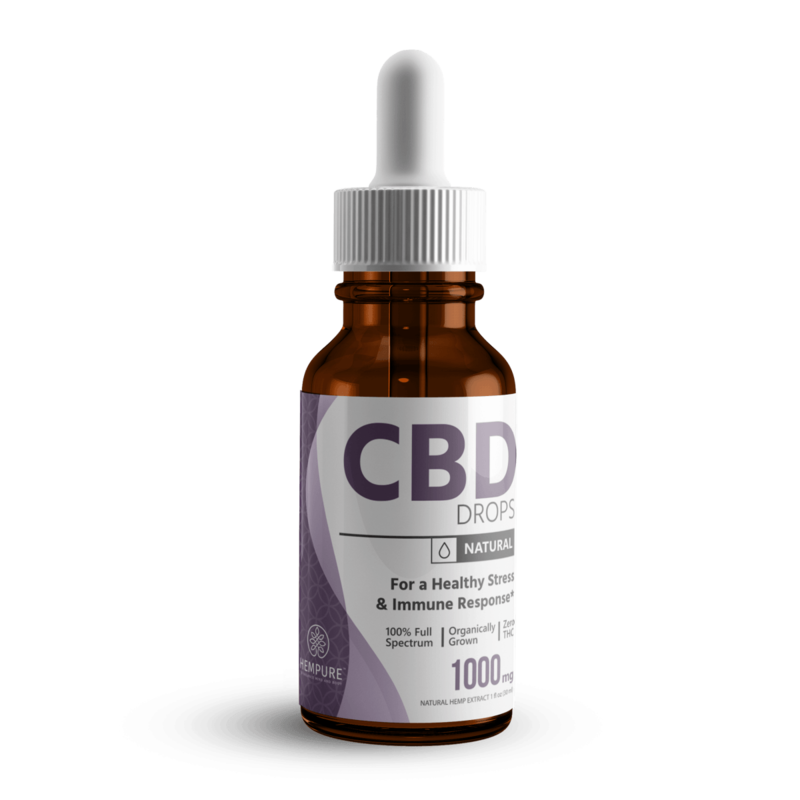 Trying the 1000mg CBD oil drops, they’re labeled as “therapeutic” for providing the greatest body relief at the maximum efficacy. Overall, I could see myself reaching for this product when I want to increase focus throughout the day or even start stimulating sleep when I lay down for bed. A perfect, versatile product, I’ll be coming back for different CBD oils in the future. Hempure CBD has both 25mg and 10mg capsules available, also known as soft gels. Though I tried the 25mg bottle, the 10mg is supposed to provide an easy dose for fast absorption. The 25mg capsules were potent doses that provided a consistent wave of the same effects every time I took the soft gel. I could see myself introducing this into a daily routine in order to start taking CBD regularly since it’s an easy way to ensure you’re getting a consistent dose every time. 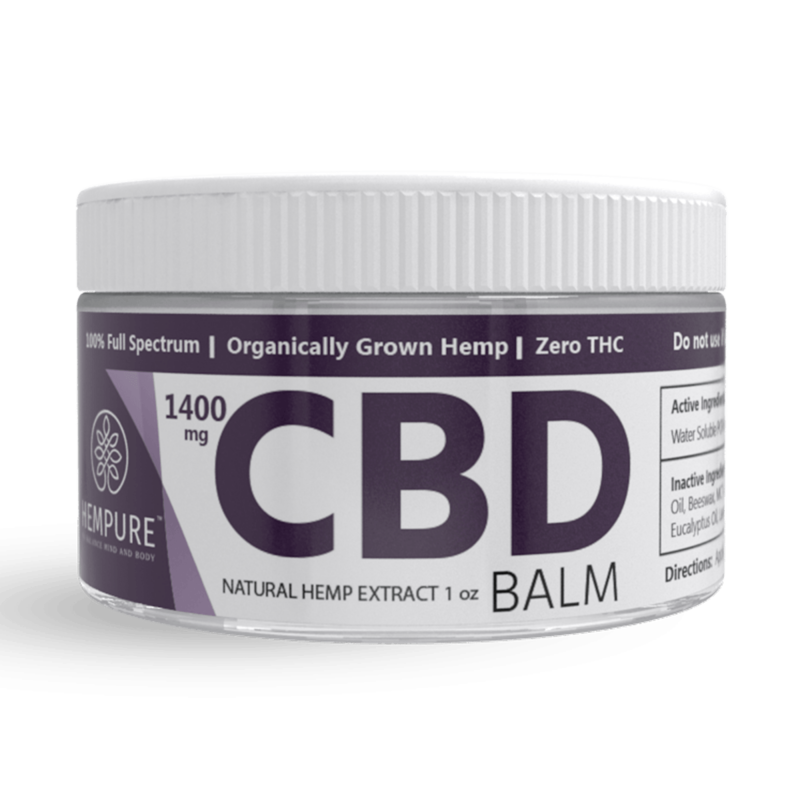 It looked like there were two different CBD balms available from Hempure; a 750mg CBD container and a 1400 therapeutic CBD container, which is the one I went for. Designed for relief and recovery, the balm is ideal for muscle soreness, inflammation, targeted pain areas, and much more. It skips the metabolic process in the liver that CBD edibles have to go through before getting absorbed into the bloodstream, allowing a CBD balm to work faster at getting to the affected area. Overall, this is an ideal choice for seeking quick relief for joints, muscles, or achy areas on the body. The CBD vape oil we tried was stated as the “highest concentration of CBD in a single bottle,” so naturally, we had to review it. 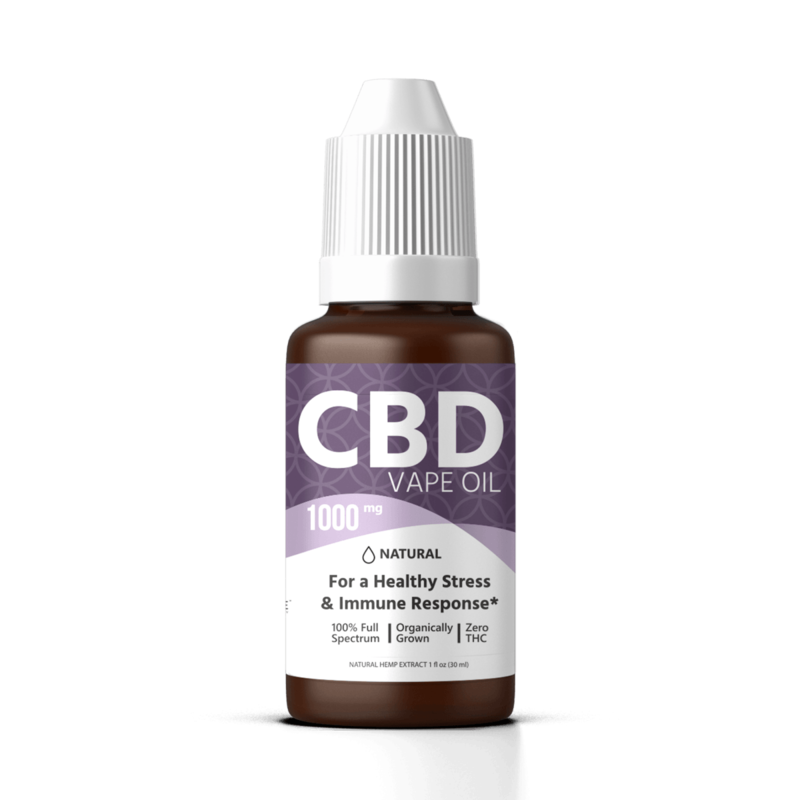 This is one of their two 1000mg CBD vape oil bottles, though there are other strengths available as well. A “concentrated therapeutic” product, the CBD vape oil we tried was a powerful, full-spectrum product that helped me feel more balanced throughout the day and lighter on my feet. A word of caution: people with very specific desired outcomes and high dose requirements should be the only ones vaping a concentration this high. There are lower strength vape oil bottles and other supplements available through Hempure. At 25mg of CBD per gumdrop, I was excited to give these CBD gumdrops a try. 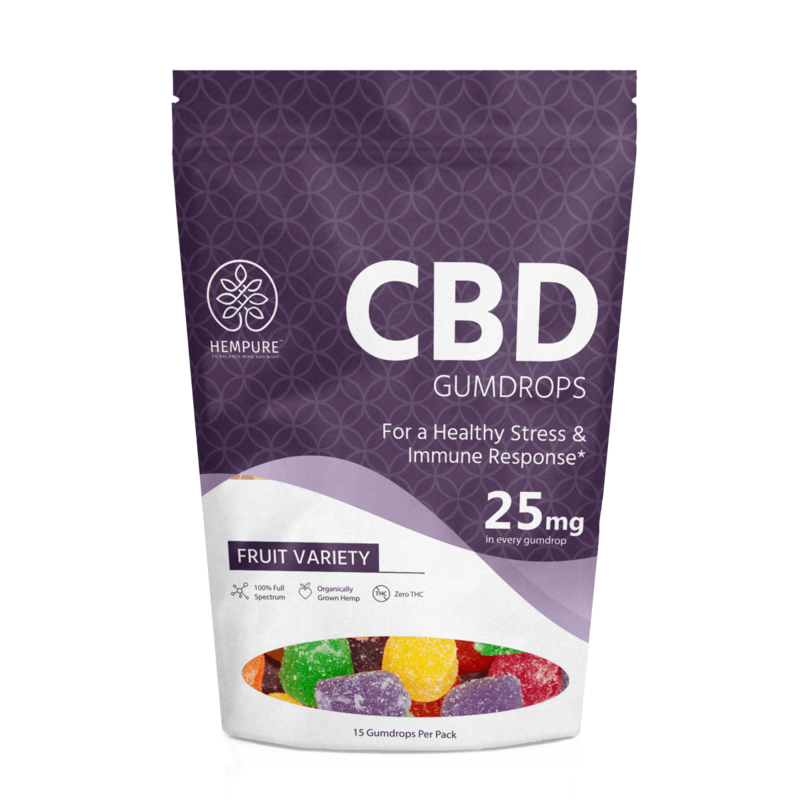 Like the capsules, these gumdrops would be ideal for someone looking to introduce CBD into their daily routine. A perfect, consistent dose in every drop, they’re perfect for taking at the start of the day to improve your mood and really jumpstart your morning. You can use one of our Hempure CBD coupons to save on these! Hempure CBD also offers CBD pet drops, though we just picked up the CBD pet chews for the purpose of this review. Ideal for both cats and dogs, this is a yummy treat you can give your furry friends even if you live with both felines and canines. 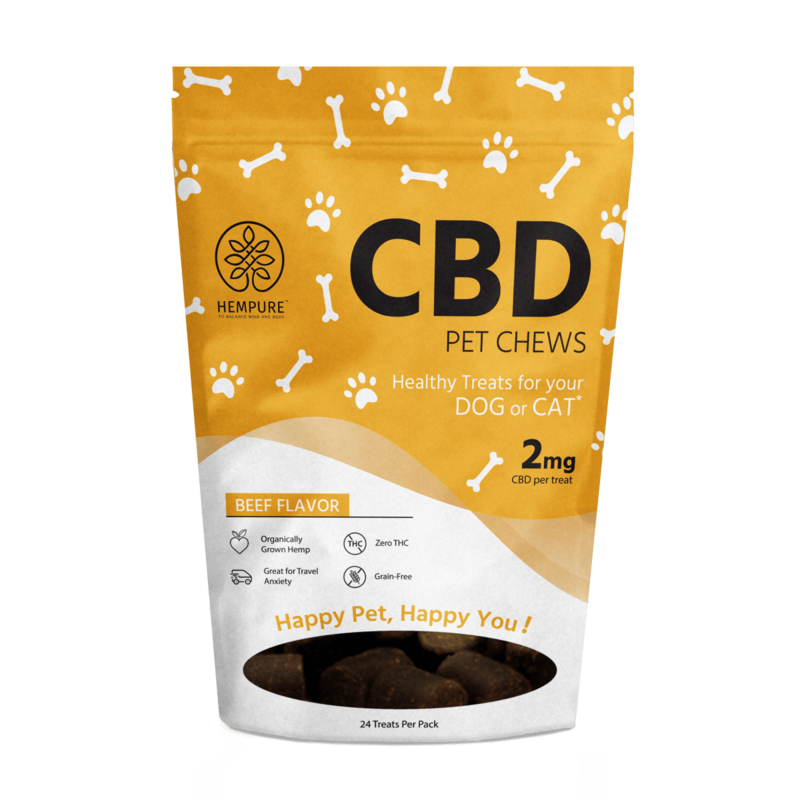 With 2mg of CBD per pet chew, they’re a save option to introduce CBD into their daily lives, improve their mood, appetite, sleep schedule, and much more. Overall, adding CBD into your pet’s daily routine makes for a happy pet that’s noticeable after just a few days of consistently taking the supplement. Disclaimer: The following reviews are made by consumers. Hempure CBD has not reviewed and therefore doesn't endorse, support, or approve the reviews or recommendations left by consumers. These statements have not been evaluated by the FDA. Hempure CBD products are not intended to diagnose, treat, cure, or prevent any disease.